With custom architectural stone pieces you can transform your house into a unique estate home that will leave a legacy for generations to come. Carved stone architecture, inside and out, will set your home apart from the others with the elegant look of natural stone. Stone is a material that has been used in buildings for centuries. The designs achieved with natural stone are limitless and will stand the test of time. Natural stone will stand up to the elements, and will outlast generations, with the least amount of maintenance. Below are a few timeless ideas to get you started designing your custom architectural stone pieces for your home. Columns are perfect accents to your homes architecture both inside and out. Adding columns helps to create division between areas of the home. They even work great to frame certain areas of your home like the entryway or doorways. 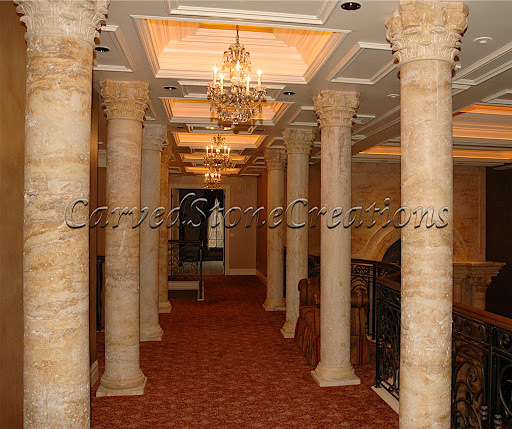 View more stone columns here. Take your stair railings and balustrades to the next level of elegance with stone. As stated before, natural stone is sure to stand the test of time and hold up in all weather for decades. Concrete and wood require more maintenance than stone and will eventually deteriorate. Natural stone stair railings and balustrades accent the natural stone veneer of your homes exterior. View more stair railings and balustrades in our ideas gallery. Take the stone stairs look a step further and create a complete stone staircase capped with stone stair treads and risers. The stone staircase with the stone railing and balustrade will make for an elegant look. View more stone staircases here. 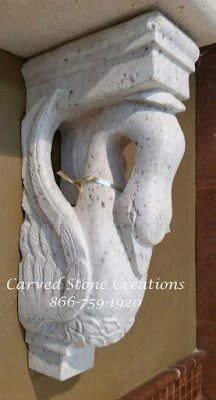 Stone corbels are a unique accent to any home. 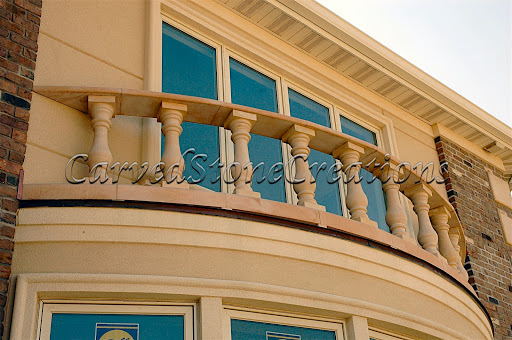 Use stone corbels to support the edge of your roof or balcony on the exterior of your home. They can even be used on the interior of your home to support a shelf or mantel. View more stone corbels here. The design options with natural stone are endless. Custom architectural stone is the perfect accent to any home to create a one-of-a-kind look that will stand out for decades. 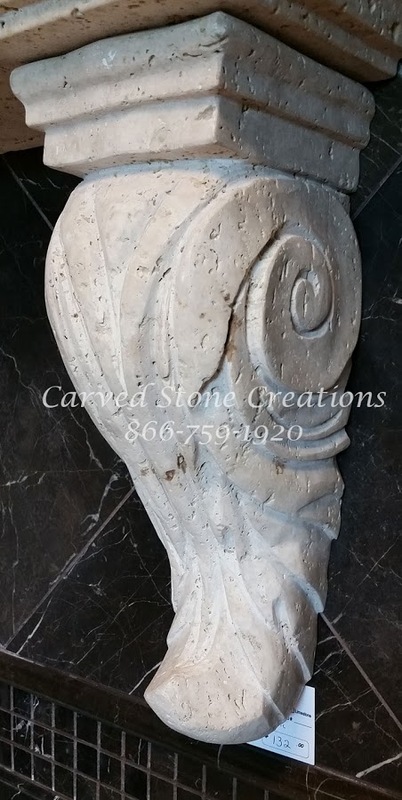 Interested in adding custom architectural stone pieces to your home? Contact us for more information.